We offer quality repair and competitive prices for all of your exhaust system and muffler repair needs. Make sure to stop by our 290-A Broad Street location for an inspection, as a damaged exhaust can hurt both your car and the environment. 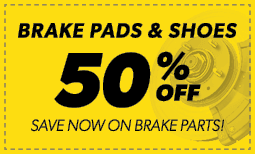 When you need brake repair, brake pad replacement, or even a total brake job, our local Manchester, CT Meineke is there to help you with everything you need to drive (and stop) safely. As usual Caine at the Manchester location is very professional and has a great humanistic approach to all customers, not just me. He tells you what needs to be done and explains it in detail before doing any work on your vehicle. Always a pleasure to deal with him. The service is excellent and Cain is a great service manager. The workers there are very nice guys!